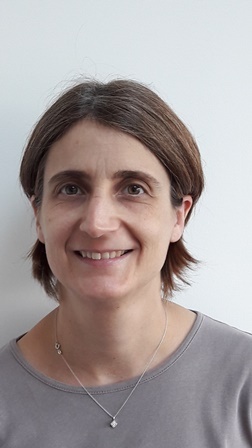 Marie-Line Gaubert-Dahan is MD responsible for a geriatric rehabilitation department (84 beds). Her team gather 5 medical doctors, 21 nurses, 35 assistant nurses, 2 dieticians, 1 ergotherapist, 3 physiotherapists, 2 psychologists, 2 social workers, 3 secretaries, 4 health managers. She is participating at pressure ulcers workshop at the Hospital of Montfermeil. She is president of nutririon’s workshop at the Hospital of Montfermeil. She has obtained her PhD in 2008 for researches on the effects of aging on cutaneous microcirculation and risk of pressure ulcer. Since 2008 she participated in France to several clinical studies on the topic of pressure ulcer related to ageing. Since 25015 she is participating to the French research group on tactile deficit which is coordinated by the CNRS (French scientific research centre). Since 2015 she is participating to university program in Lyon on “Prevention and management of pressure ulcers” addressed to medical staff. She is also participating to Ile de France regional program on pressure ulcers prevention which started in 2013. She was communicate in September 2017 about “the correction of the risk factors to optimize the healing of pressure ulcer”. She is member of EPUAP, PERSE, SFGG and GDR Tact.